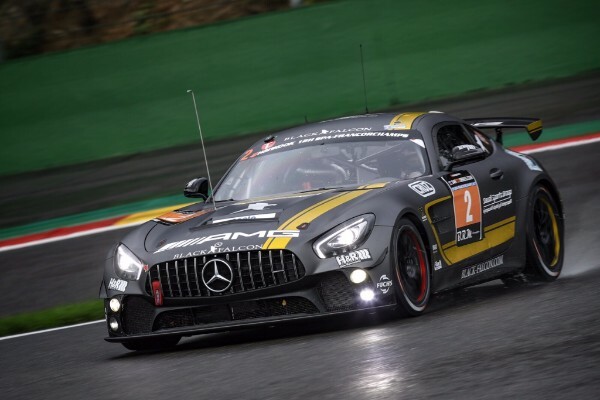 Adam Christodoulou marked his first competitive outing in the Mercedes-AMG GT4 last weekend with a podium finish, claiming second in class and sixth overall at the 12H Spa-Francorchamps. 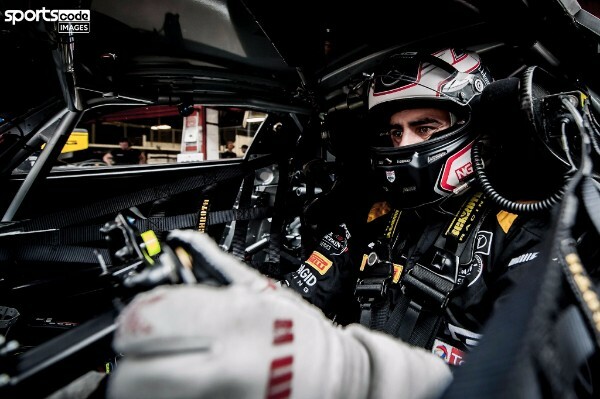 Christodoulou was invited to join up with his regular Team Black Falcon outfit for a guest outing in the 24H Touring Car Endurance Series and was immediately on the pace, leading the 48-car field on three separate occasions before delays with an unscheduled stop costing five laps. 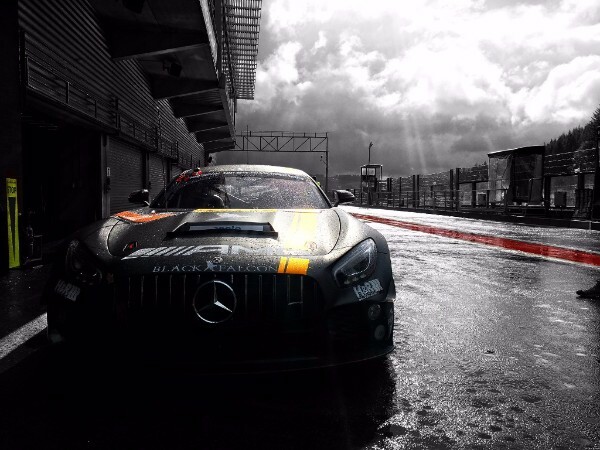 With plenty of running still to be conducted before it goes on sale at the end of the year,Christodoulou was delighted with the pace shown by the Mercedes-AMG GT4 during what was essentially a 12-hour test session under race conditions, and believes the car is well on course to be a success in in the ultra-competitive GT4 landscape. 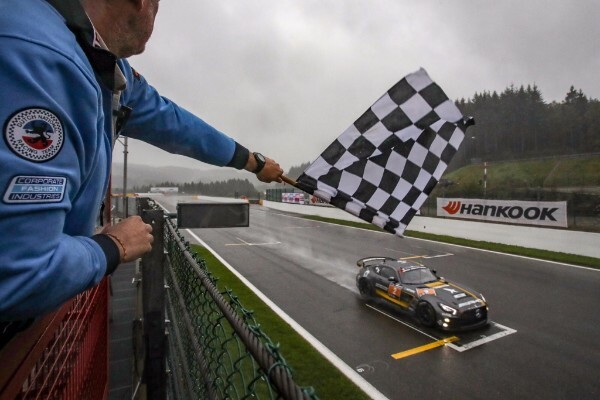 “This weekend was all about putting mileage on the car to make sure we have plenty of data to understand more about it and all three cars made it to the end of the 12 Hours, which shows that the reliability is strong,” said Christodoulou. In typically unseasonal October rain, the Briton would share driving duties of the No. 2 car with Saud Al Faisal and Spanish brothers Miguel and Alex Toril. However, having four drivers would prove something of a disadvantage in qualifying, because series rules dictate that all drivers must complete at least two laps prior to the race in order to take part. But with just 60 minutes of track time split between a 40 minute practice session and 20 minutes of qualifying, so there wasn’t much time to waste. Due to the foul conditions and Code 60s which extended each lap, Alex Toril only managed to complete his mandatory laps at the very end of qualifying, but his efforts were still enough for third on the grid. “To do two flying laps around there means you actually have to do four laps, including the in and outlaps,” explained Christodoulou. 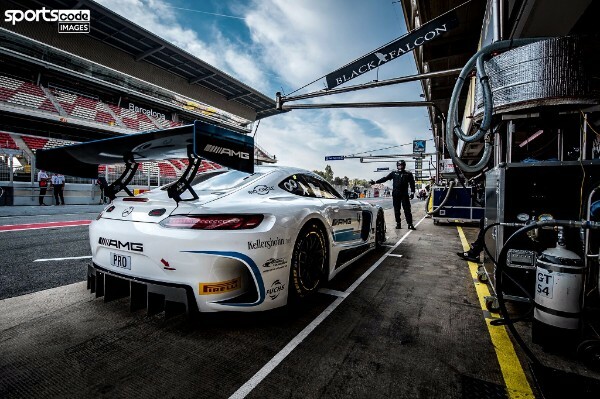 Christodoulou took the start on Saturday afternoon and immediately dispatched the leading TCR class entry to begin a nip-and-tuck battle with the identical HTP Motorsport test car driven by AMG legend Bernd Schneider, with whom Christodoulou won the 24 Hours of Nurburgring in 2016. 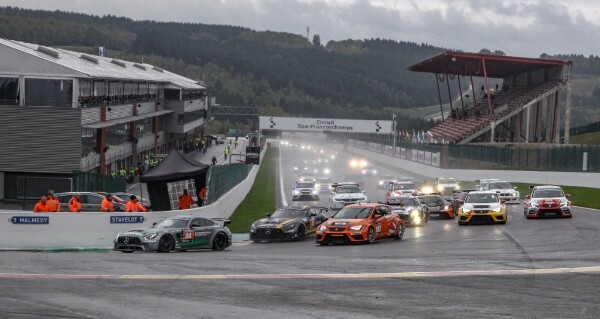 After taking the lead from Schneider’s Mercedes-AMG at La Source, both cars were passed by Erik Janis in the RTR Projects KTM, which came on strong as the track dried. But a well-timed switch to slick tyres during a Code 60 period – during which time he was lapping 15 seconds faster than anybody else – cycled Christodoulou back to the head of the pack after two hours, when he handed over to Saud. 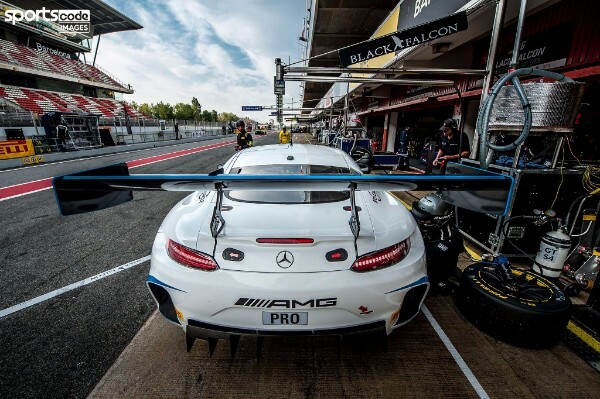 After three hours, the cars were placed into parc ferme for the overnight halt, with the Black Falcon Mercedes just under two minutes behind. The field was neutralised in time for the remaining nine hours on Sunday morning, although the absence of the KTM through mechanical dramas meant Christodoulouwould have a clear run into the lead. With around half an hour of fuel in the tank, the Briton continued out front for another double stint before handing over to Miguel, who had suffered from a virus for much of the weekend. After Toril’s single-stint in the worsening rain was complete, his brother Alex took the car over, but with four hours to go, an incident involving a slower car forced the team to relinquish their two lap lead and go to the garage for repairs to the left-front corner. Re-joining three laps down, fought hard to gain the time back but ran out of time to catch the class-leading Mercedes-AMG GT4 from the Uwe Alzen Motorsport stable and settled for second in class. Although the end result didn’t live up to its earlier promise, Christodoulou believes the weekend met all objectives from a development standpoint. “We definitely proved how good the car can be once it goes on sale for customers,” he concluded. “We’re not allowed to use tyre warmers, which isn’t so much of a problem in Dubai as it is at Spa when its 7 degrees in the wet – but everyone seemed to love the car in the wet conditions, they all felt very comfortable with it. 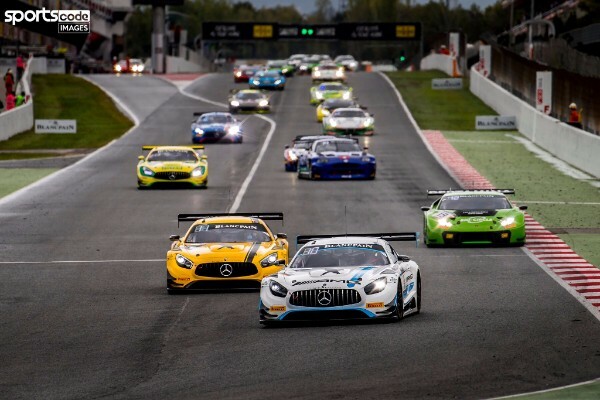 Adam Christodoulou scored the best result of his Blancpain GT Series career with a fine fifth place finish in the final race of the year at the Circuit de Catalunya in Spain. Sharing the No. 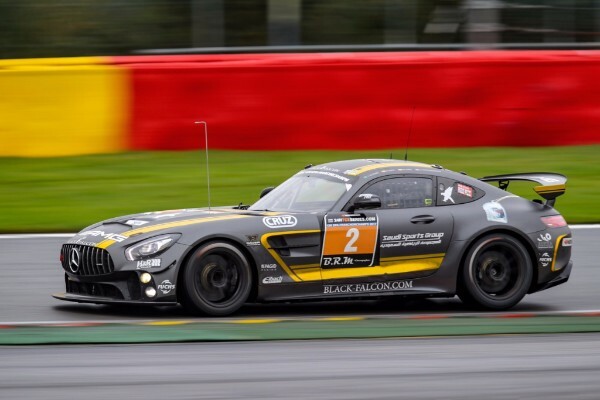 4 Mercedes-AMG Team Black Falcon Mercedes-AMG GT3 with Yelmer Buurman and Luca Stolz, Christodoulou put a season of bad luck behind him to register his second points score in as many rounds, after a gutsy drive to eighth in the Spa 24 Hours in July. 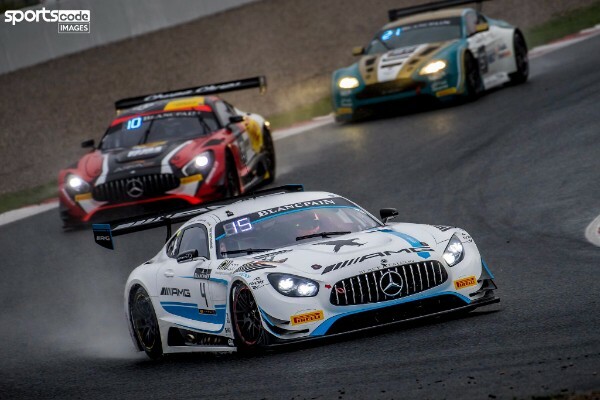 The 28-year-old Briton enjoyed a fraught battle with fellow AMG factory driver Maxi Buhk over fourth position for the duration of his stint, but despite losing out to the German on the final lap, was delighted to end the year with his best result of the season. “Of course Paul Ricard would have been better as we were set for a podium there until the driveshaft went, but it was really good to finish off on a high and have a weekend where things went our way,” reflected Christodoulou. In damp, overcast conditions atypical for the Spanish Grand Prix venue, Stolz topped the first qualifying group, while Christodoulou improved to go second in his session. When the track was at its fastest in Q3, Buurman was delayed by traffic, but still managed an excellent 10th in the 49-car field. With the track fully dry for the start, the Dutchman made a good getaway to run seventh on the opening lap, despite contact from Marco Seefried’s Jaguar that forced him to run wide at turn four. Due to a Stuart Leonard’s Audi bottling up the pack, Buurman had to balance his designs on sixth place with a wary eye on his mirrors, but Black Falcon cleverly optimised the strategy by pitting the car on lap 27, enabling Stolz to emerge in clear air and undercut his rivals on fresh rubber. Having vaulted up to fifth, the German capitalised on a mistake from Will Stevens’ Audi at the turn nine hairpin to take fourth before handing over to Christodoulou for the final dash to the finish. The Briton initially held ambitions of taking third away from champion-elect Mirko Bortolotti’s Lamborghini, but a few laps stuck in traffic allowed Borolotti to make a break and Buhk’s identical Mercedes-AMG GT3 to close in. The two cars circulated as one for the final half hour, but Christodoulou’s hopes of fourth were dashed on the final lap when traffic allowed Buhk to sneak by. “It’s always better to be the chasing car when you’re in traffic as the lead car has to slow down and anticipate what the backmarkers are going to do,” explained Christodoulou. “Unfortunately I just made the wrong decision of where to overtake them, but that’s how it goes sometimes when the field is so closely matched, you don’t get a moment to relax. It’s definitely been a testing season for us, but we showed that when things go our way, we can be really strong. Christodoulou’s next race will be his first competitive outing in the new Mercedes-AMG GT4 at the Spa 2x6H next weekend (October 7-8).